April was a busy month for Mothers’ Union. On 2nd April the Cathedral was filled with members and friends of the Rochester Diocese Mothers’ Union (RDMU) who had come to celebrate the start of a new triennial and attend the commissioning of a new Diocesan President and Trustee Board. The new President, Mrs Julia Jamieson was commissioned by Bishop James Langstaff in a service which also celebrated the 140th Anniversary year of the founding of Mothers’ Union. The service compiled with the guidance and support of Canon Neil Thompson was a great time of celebration and re-commitment for members to service within their parishes and communities. The Oriana Singers led the singing. Bishop Langstaff in his address praised the Mothers’ Union for their faithful service in so many areas of church life speaking of them as the ‘glue’ that holds many parishes and communities together. He commended members to continue the work already begun in the diocese. The service was followed by light refreshments and a trio of celebration cakes. This was also the month for the Spring Members Meeting which was held at Christchurch Orpington. The Rev Ren Harding, RDMU chaplain led the opening worship and Eucharist. In her first Presidential Address to members Julia thanked members for their ongoing support to projects and looked forward to increasing RDMU’s outreach in this celebration year. Several challenges were laid down for the current triennial under the theme of Faith, Hope and Love. These were to have a Mothers’ Union presence in every parish in our Diocese: mapping our parishes, working with local clergy to identify community need: sharing the “Good News” of Mothers’ Union and increasing our membership. 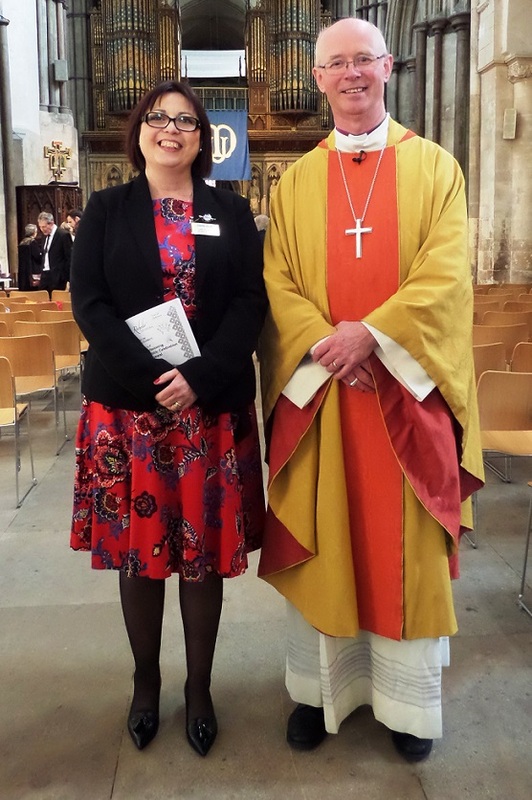 On 23rd April, Julia attended the commissioning of the new Provincial President for Canterbury, Mrs Nikki Sweatman and the new Canterbury Diocesan President Mrs Marianna Poliszcuk. Again the Bishop of Dover commended the work that Mothers’ Union undertakes in so many different ways and encouraged them to continue in fulfilling the gospel calling to bear fruit for Christ. During the previous month the Archbishop of Canterbury re-commissioned the Mothers’ Union World Wide President, Lynne Tembey, at Lambeth Palace saying “The Mothers’ Union in so many places is an organisation that listens to the voices of weeping. Whether it’s in Burundi, the Congo or South Sudan; whether it’s in homes in cities where when the local football team loses there is a 50 percent increase in domestic violence; whether it is in the loneliness of weeping by people who are not suffering physically but are spiritually empty and lost; it is the Mothers’ Union that exists in the vision of Mary Sumner to speak of those things that God has provided that bring hope, help and a future.